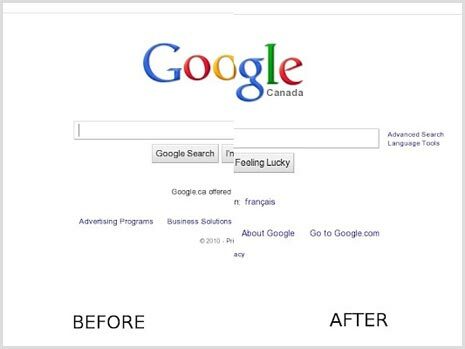 Do you want to expand and zoom webpages in Google Chrome browser for finer view? There are number of ways to zoom in or out webpages in Chrome browser. You can expand all or specific elements on a webpage including text and images. Besides the mouse wheel or keyboard shortcut to zoom, you may use Google Chrome extensions for using zoom funtionality in different ways like magnify glass, DPI settings zoom, percentage level zoom of whole webpage and so on. If you use mouse with middle wheel, then you can zoom even more quickly using it. You just need to press Ctrl and rotate the mouse wheel to zoom in or out web page. For sure, a more faster and easier way to zoom webpages. 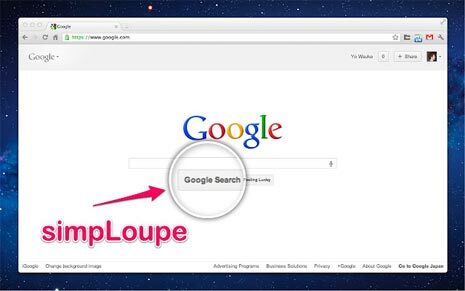 If you only want to zoom specific area on webpage, then use magnify glass with the help of SimpleLoupe Chrome extension. After install, press Ctrl + Alt + L keys to activate magnifying glass. You can press same keys again to turn off the magnify glass. Also, you may change glass size and zoom levels by going to settings of this extension. Click Wrench icon > options, then click Extensions option on left side. Further click Options button next to extension listing. 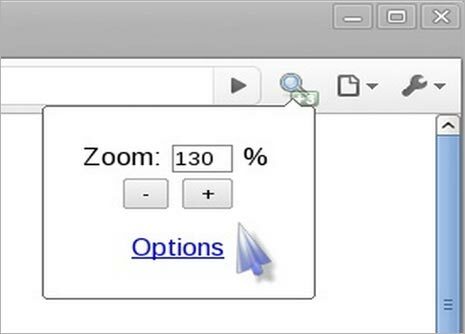 For whole webpage zoom by certain percentage level, you can use Auto Zoom Chrome extension. You can explicitly define zoom level for different website and webpages. This extension also support Keyboard control like Ctrl + [, Ctrl + ] and Ctrl + \ shortcuts. Best part, this extension saves the zoom level for every page and offers optional text zoom. If you dont like wasting time in changing zoom levels and settings, then checkout iZoom Chrome extension. It automatically changes zoom level to fit window width with 3 different zooming modes. These modes include: shrink only, grow only, shrink and grow only. Say if Grow only is selected, website display will be expanded to fill complete width of Chrome window. By default, Chrome always take into account 96 DPI (dots per inch) figure while rendering webpages. While this estimate is true for majority of users. However, users with display screen of higher DPI may see webpages in little unformatable manner. At chrome.google.com/webstore/detail/zoom-on-doubleclick/jkmalmidnicnnmceielaelokkdmmgkcb you can find another intelligent zoom Google Chrome extension.